Hello friends aj is post me block (disable) facebook account ko unblock (enable) kaise karte hai iske bare me bata raha hu. 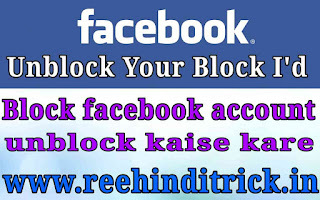 Bohot sare facebook users ko ek problem bohot jada aati hai ki unka facebook account bar bar block (disable) ho jata hai, lekin kuchh users ko Facebook account unblock (enable) karna nahi aata hai or new id create karna padta hai. Block facebook account yese account hote hai jo users ki spam activities ke karan Facebook accounts ko block kar deta hai or users un account ka use nahi kar pate hai. Facebook me bohot si activities yesi hoti hai jinko regularly karne par facebook ko lagta hai jis ka account hai vo is account ko use nahi kar raha hai ya account hack ho gaya hai to Facebook account ki security or users ki security ko dhyan me rakhte huye account ko block kar dete hai. Facebook account spam activities ke karan block ho jata hai jiske karan us account ko unblock kare bina use nahi kar pate hai par yadi ham Facebook ko apna original proof dete hai to hamara block account unblock kar diya jata hai or ham apne Facebook account ko fir se use kar sakte hai. Facebook me yadi ham regularly koi bhi kam bohot fast fast karte hai to facebook un activities ko spam samjh leti hai or hamara account block ho jata hai me yaha par kuchh activities ke bare me bata raha hu jinse facebook account jada block hote hai. 1. Regularly fast fast post karne se account block ho sakta hai. 2. Regularly fast fast comments karne se bhi account block ho jata hai. 3. Regularly link post or link comments karne se bhi account block ho jata hai. Facebook me yesi hi bohot si activities hai jinko regular karne se spam detect hota hai or account block ho jata hai, par har bar account block nahi hota hai kabhi kabhi hame kuchh features use karne se suspend kar dete hai to kabhi kabhi block kar dete hai. Block Facebook account ko unblock karne ke liye id proof upload karna hota hai jisse account unblock ho jata hai par id proof me or account me name, date of birth or photo sem hona chahiye tabhi hamara account unblock hota hai, to chaliye friends start karte hai or apne block facebook account ko enable karte hai. 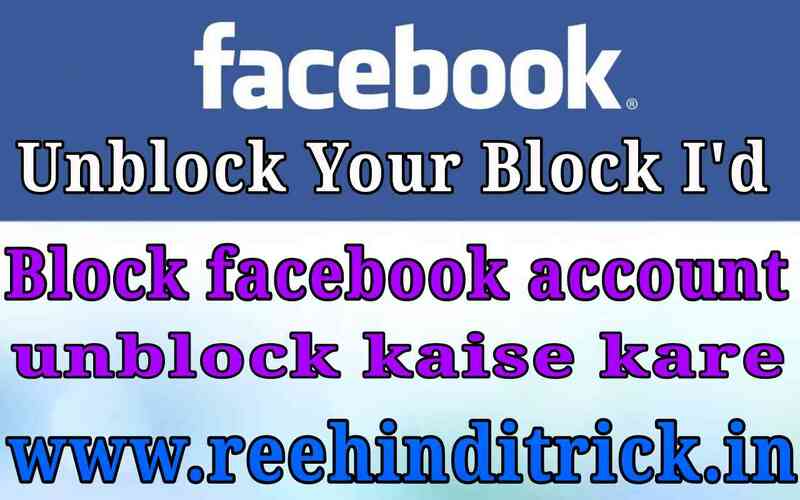 Apne block facebook account ko unblock karne ke liye aage bataye gaye sabhi steps ko thik se follow kare uske bad ap bhi apne account ko unblock jarur kar payenge. 1. Sabse pehle ap apne adhar card ya id card ka ek clear photo nikale jisme face or name clear dikhta ho. 2. Ab ap browser open kare or Facebook.com par jaye. 4. Yaha par apko upload a photo of yourself dikhai dega. 5. 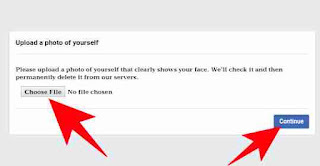 Ab ap yaha par choose file par click kare or apne computer ya mobile se apni id proof photo ko select kare. 6. I’d proof photo select ho jane ke bad ab ap Continue par click kare. 7. Ab apko next page me You can’t login at the moment dikhai dega ap Ok par click kare. 8. Ab apka Facebook account review me chala gaya hai. 9. Ab ap 3-4 din wait kare yadi apka Facebook account or I’d proof me information sem rahi to apka account unblock ho jayega. 10. 3-4 din bad ap fir se Facebook.com par jaye or apna login id or password add kare. 11. 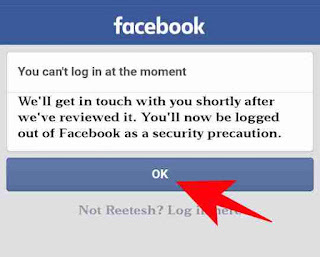 Ab ap apne Facebook account me successfully login ho jayenge.